We offer a wide range of t-shirts for all age groups. These t-shirts are available in different colors, sizes and styles.These t-shirts are made from the finest cotton and are extremely comfortable to wear. Our range are mens garments, mens knitted garments, mens printed garments. We are looking for inquiries from South India region including Andhra Pradesh, Karnataka, Kerala and Tamil Nadu and cities like Bangalore, Chennai and Hyderabad. Our company's main objective is to prepare, export and supply an enthralling & quality collection of Customised T Shirts that is highly appreciated by our clients. Offered category includes Blank T Shirt, Sweat T Shirt, Printed T Shirts and other similar products. These T-shirts are designed and stitched by our creative designers by making use of quality approved fabrics and advanced technology under the stern surveillance of our team of deft professionals as per set market norms. 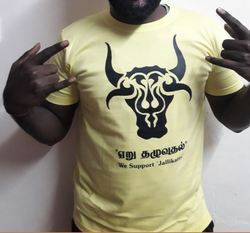 Highly appreciated for its attractive look and smooth texture, these Customised T Shirts can be availed from us at nominal prices within the estimated time frame. 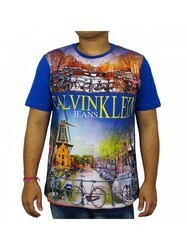 We are the manufacturer and exporter of Digital Printed Mens T-Shirt. We are manufactures and suppliers of all kind of customised and promotion T-shirt. 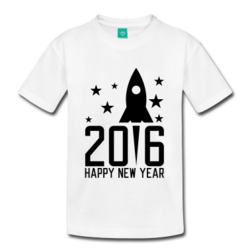 Current we are supplying the New Year T-shirt.